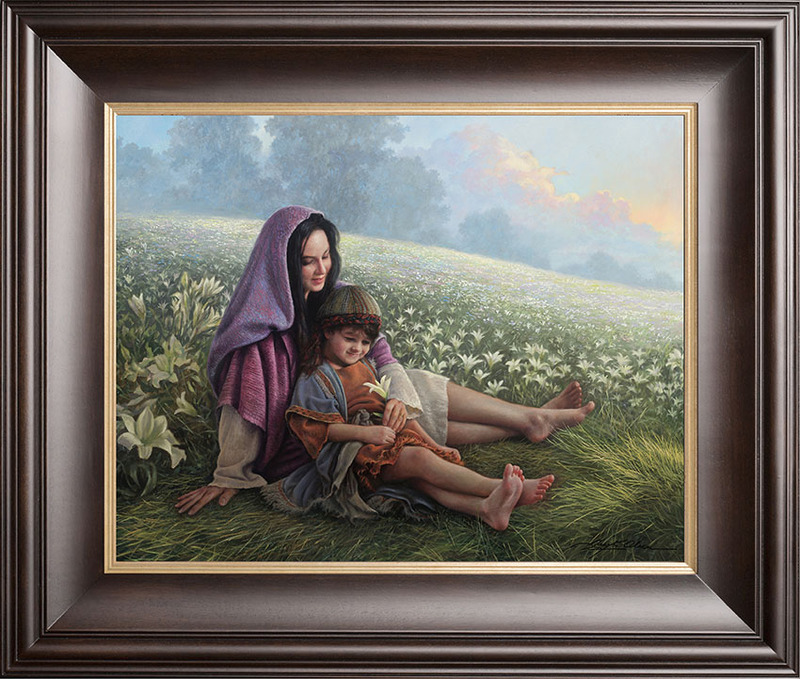 April 17th – Congratulations to Nikki Densmore who was randomly selected as the winner of the Greg Olsen Giveaway for a framed 16×20 print of “Consider the Lilies”. January 30th – (Sorry we forgot to post this to the blog!) Congratulations to Leilani Beck, Travis Longley, & Mia Dattero who were randomly selected as the winners of the Greg Olsen Giveaway for a free Combo #1 (https://gregolsen.com/gallery/combo-1). I’ve always loved your psinting of jesus and a little boy holding a butterfly. Last year when I lost my pregnacy at five months he was a boy his name was Tristan Lee. That same day I nearly lost my own life when I woke it was a true unexplained miracle that I lived but unfortunately after woke up I couldn’t have another child again. Well this year I found out that I have Thyroid cancer. The reason of this particular painting is when I saw the little boy holding this butterfly it reminds me of the symbol of my thyroid cancer and and my son is with jesus in heaven. And now everything make sence. Since then I new I couldn’t give up knowing everything is going to be okay. I would love to have a frame this frame as a reminder and rememberance of why we are on this earth and others aren’t and its okay. Thank you for taking the time to read my story and my testamony that everything has a perpose and reason that sometimes we may not understand everything but I know its gonna be okay. The otherside is a better place. Living here on this earth is extreamly painful but some of us need to be here for other perposes. If you can ever get a chance maybe you send me your thoughts. I’m still going through therapy. I’m still trying to unravel of why things happen to me still what is my perpose. I feel deep inside I do know but it hurts too much to except it. Thank you. all your painting are beautiful! Your paintings bring the true meaning of Christmas to light. Your GIVEAWAYS bring to light a deep meaning of Christmas…You are incredibly generous with how much you have given away and the quality of items you have allowed to be given! God bless.. I won “Worlds Without End”. I love this painting & it has a very special meaning to our family. I want to thank Greg & his son Nate. They are such great people & so kind. It’s no surprise that such beautiful, touching paintings come from this talented man. Thank you again for being so generous & sharing with us in more ways than one. I really have enjoyed seeing your paintings via the FB giveaway posts. Thanks for being so generous.